There is a scholarship scheme announced for 12th passed students for batch 2015/16. Total 60,000 scholarships introduced for various States including Punjab to support Technical & Professional Education for bright students who got excellent marks in their higher secondary education under E-scholarship scheme for College/University students. Good news for all Students who got excellent Marks in 12th Standard. Check details regarding How to apply, eligibility criteria & others details, Read full description from below. Last date to Apply 30.09.2016 through official Scholarship Schemes Portal of Ministry. Scholarship is only given to those students who joined or will joining professional course after 12th standard i.e courses of duration from 3 – 5 years. Candidates scored 80 percentile to eligible for scholarship. Annual Income of Parents should not exceeded 2.5 lac from all sources. No backlogs in their subsequent courses. For Professional Courses (5 years courses) : Rs.1000 per month & Rs.2000 pm in 4th & 5th year. 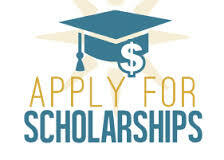 Share this Post with Friends to tell about scholarship scheme. Fee receipt of current course. Bank Account proof of applying student. Self attested marksheets of previous academic years. I passed 12th class with distinction in science stream can i apply for this form. Respected sir, I got 75.38 in 12 th std I can apply for this scholarship please tell me. I HAVE COMPLETED 12TH STANDARD WITH 89.2% UNDER CEC GROUP . I NEED YOUR SCOLARSHIP BECAUSE IT IS VERY USEFUL FOR MY EDUCATION . SO PIEASE SIR SUPPORT ME TO TAKE HIGHER EDUCATION .AND THANKS FOR THIS WONDERFUL OPPOURTUNITY . respected sir/mam i have taken exams of 12(pseb) and our result is not declared.can i apply for scholarship. sir i have got 88.6% in 12th 2015 in 12 th class am k eligible for this scholarship. Respected. sir/mem. I have completed 12 bio, 2015-16 mp board with 84% of marks I need scholrship for study please help me. I have passed +12 with 92 % ..how I apply this scholarship..pls sent the form to my Gmail.. Respected Sir, I have completed my 12th with 83.8% of marks. Please send application form to my mail id. With humble respect I want to say that can I get the scholarship for studying undergraduate degree in USA?? So, I want to scholarships. I am score 76.8% marks in Higher Secondary (12 class) . I am in class B.SC. My financial position is very poor. I have got 82.8% marks in 12th class this year. My family is very poor ,but I read in geography honours from purash collage .So I want scholarship please help me sir . Respected Sir,I have completed my 12th in andhra state board with 98%of marks.please send application form to my mail id.